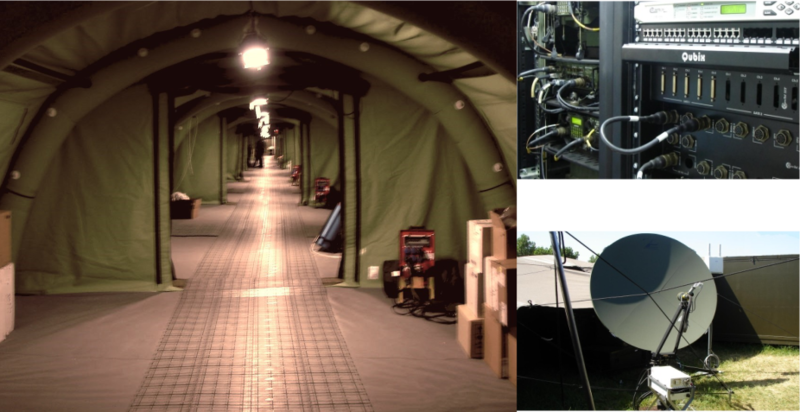 This project provides the necessary communications and information to the operators of the ROL 2 Field Hospital – mobile hospital designed especially for deployed combat support missions. Secure Voice Service both VHF and HF. Data Communications in support of Information Systems.